Software – Defined Data Center Platform – NDB Ltd.
VMware Cloud Foundation is the unified SDDC platform that brings together VMware vSphere, vSAN, and NSX into a natively integrated stack to deliver enterprise-ready cloud infrastructure for the private and public cloud. 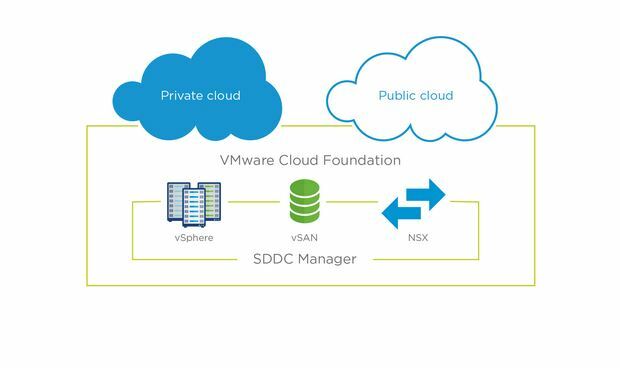 The core components of VMware Cloud Foundation are the market-leading VMware solutions you already know – vSphere, vSAN, and NSX. Additionally, VMware Cloud Foundation includes SDDC Manager, which automates the entire system lifecycle (from initial bring-up, to configuration and provisioning, to upgrades and patching), and simplifies day-to-day management and operations. 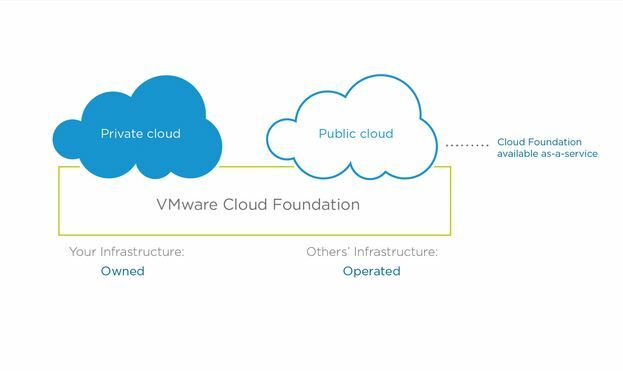 VMware Cloud Foundation can be used on-premises for private cloud deployments or run as a service from the public cloud with a single consistent operational experience. VMware Cloud Foundation drastically simplifies the path to the hybrid cloud, while increasing admin productivity and reducing overall TCO.